Supply chain management is a complex, ongoing process. There are a lot of moving parts, procedures and relationships that need to be regularly monitored and evaluated. A weakness at one checkpoint has the power to significantly impact the rest of operations. Identifying and resolving inefficiencies along the supply chain is crucial for any company looking to maximize cost-saving strategies and facilitate long-term sustainability and success. The industry is rapidly moving toward the Internet of Things. And, while digital devices are not exactly new to the world of business, many supply chain managers are still trying to figure out exactly how these technologies fit into their strategy, what the return on investment is and how they are going to affect business in the long run. As these modern tools and systems begin replacing traditional, outdated systems, a period of trial and -error should be expected. But, to maintain a competitive edge and minimize cost reductions in the process, it is important for leaders to be careful of potential pitfalls. Here are a number of supply chain mistakes often made while shifting toward digitalization. Technology has made communicating and connecting easier than ever before and, as an increasing number of companies across all industries begin relying on the IoT, the need and the convenience they offer will only continue to grow. Supply chain managers may be hesitant to switch systems because they want to avoid disruptions. However, resisting the adjustment will only make it more difficult, and probably more expensive, in the long run. "The bad news is that the rate of change isn't going to slow down," COO of VSc Solutions Grant Marshbank told Supply Chain Digital. "The good news is that emerging trends hold opportunities to reduce both costs and carbon footprints, and enable exceptional customer service at the same time." Accumulating pressure to keep up with competitors and stay innovative can make it all too easy for supply chain managers to prematurely adopt smart technologies they don't really need to. Implementing new systems that aren't consolidating and ultimately improving operations is causing unneeded complications. To prevent this from happening, Bob Derocher, principal of The Hackett Group, told Enterprise Apps Today that each time an application is introduced to a supply chain, it should be clear what its immediate purpose is. "This can be addressed by explicitly linking the selection and design of applications to specific features of the business strategy," Derocher explained. "For example, if the company plans to grow by acquisition it will be important to select a package that is scalable across multiple different business models and can be quickly implemented in an acquired business." Traditionally, most logistics and supply chain processes were run in silos. But using a network system that seamlessly integrates and updates all essential information provides key team members with the accessibility, capability and connectivity needed to heighten efficiency levels. 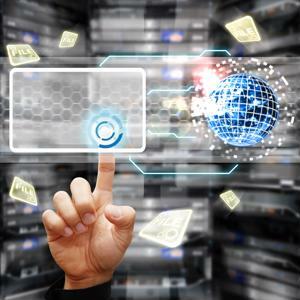 Furthermore, utilizing the cloud can make database backup quick and easy. In addition, using a transparent system along the supply chain enhances visibility and provides an abundance of benefits for all segments of the business, including logistics, inventory management, manufacturing and distribution, procurement and payment processing. Advanced technologies have made tracking and assessing essential data and information easier than ever. Through the use of analytics, managers will be able to significantly improve all aspects of business. "Every single minute in operations and global supply chain management generates data, be it product testing data, transactions, pricing agreements, logistics, material costs and even tactic data like email communications between teams," Riverwood Solutions vice president of supply chain solutions, Akhil Oltikar, pointed out to Enterprise Apps Today. While digital devices and the IoT provide managers with the tools and resources to perform more efficiently, faster and more cost-effectively than they otherwise would, they are not a cure-all. Smart devices have undoubtedly transformed the capabilities of supply chains. However, the purpose they serve is ultimately ineffective without the collaboration of key supply chain members, regular assessments and evaluations and ongoing improvements. Modern technologies and devices are meant to enhance the efficiency and performance of workers, rather than eliminate their purpose altogether.